Hot plate machine, also known as hot plate welding machine, hot plate plastic welding machines, plastic welding machine hot plate, hot plate plastic welding machine, hot plate welding machine, hot plate welding machine, plastic welding machine hot plate, hot plate welding of plastic Machine. Welding products mainly for the main area, non-standard plastic products, such as: car glove box welding, welding car bumpers, car dashboards welding, auto water tank welding, automobile taillights hot plate welding, hot plate welding, battery. Hot plate machine whole structure characteristics: the national standard of quality rectangular steel pipe welded together, the surface and then by spray Process. CNC bending machine door and punch by the molding process, the surface and then by spray Process. 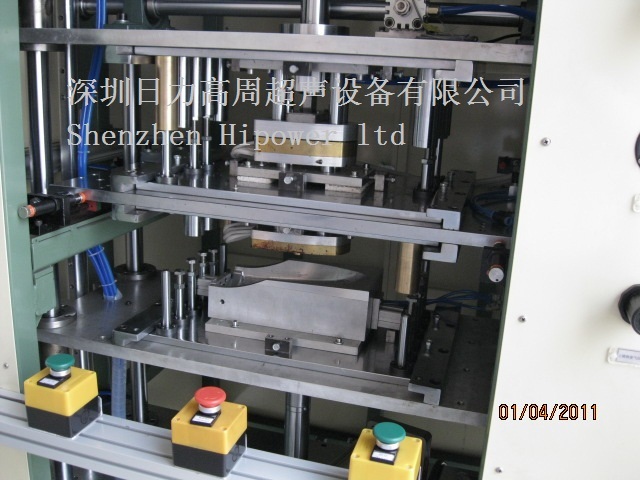 Hot plate moving mechanism by the cylinder, slide rail, hot plate and other components. Cylinders as a power source to drive the hot plate body along the two slide rails in a straight line before and after. Hot plate welding machine parts: from the hot plate model, heating plates, hot plate heating plate through the mold and quickly locate fastening body moving mechanism connected with the hot plate. Hot plate machine structure is characterized by: hot plate in the movement, smooth and sports a small gap. Institutions on the hot plate with heating plate and the upper and lower thermal mode, and the heating plate thermal model of the fast connection of fixed institutions that can effectively and quickly switch to a different product, to optimize its use of improved production efficiency. Hot plate machine, the limit under the template guides through four hot plate welding machine and joined together, can precisely adjust the welding depth, together form a device of the main moving parts.